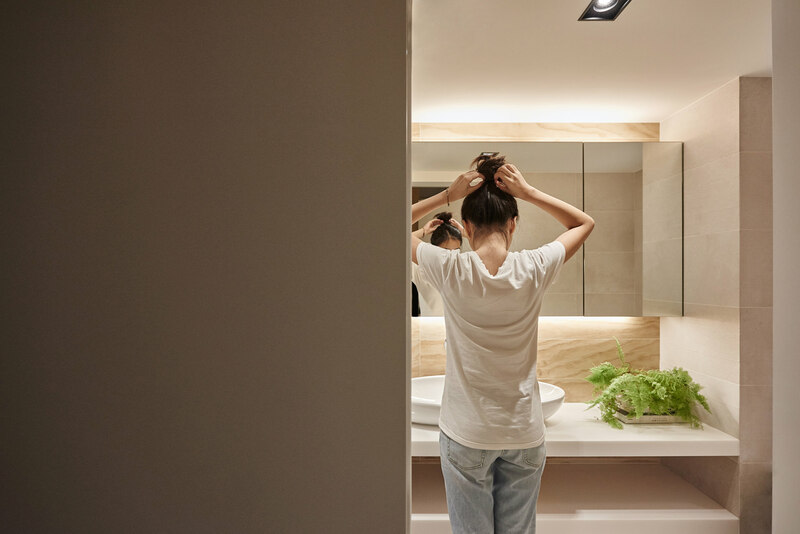 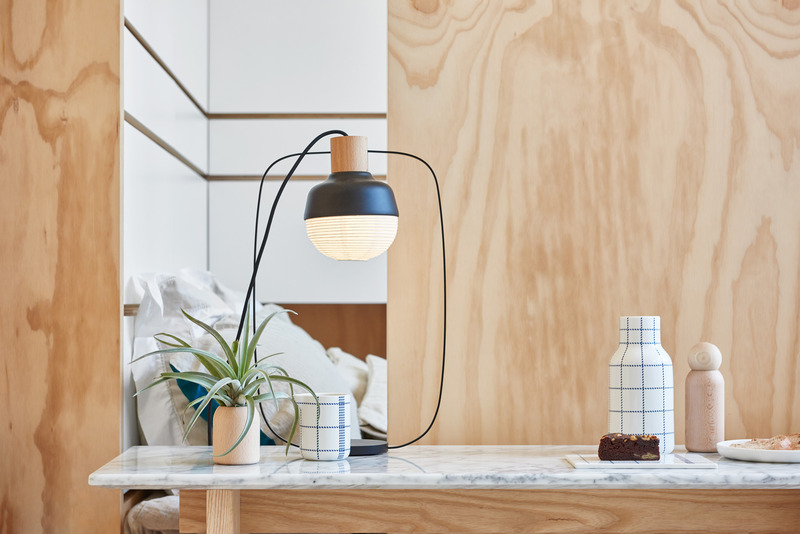 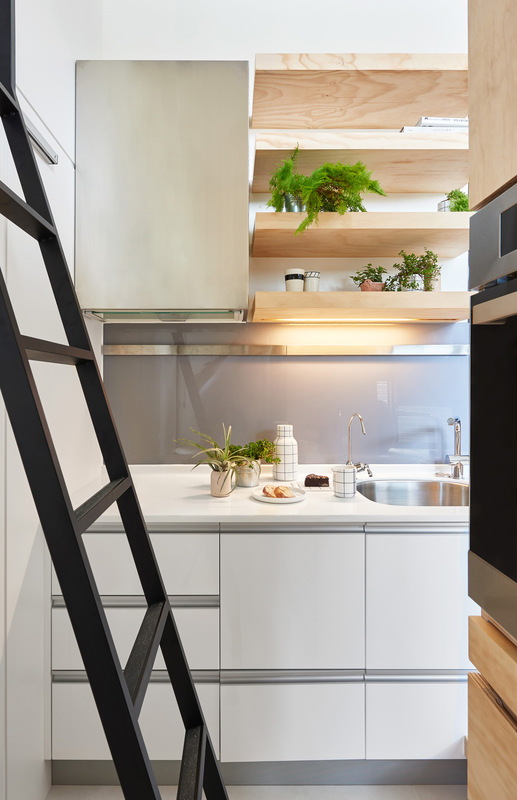 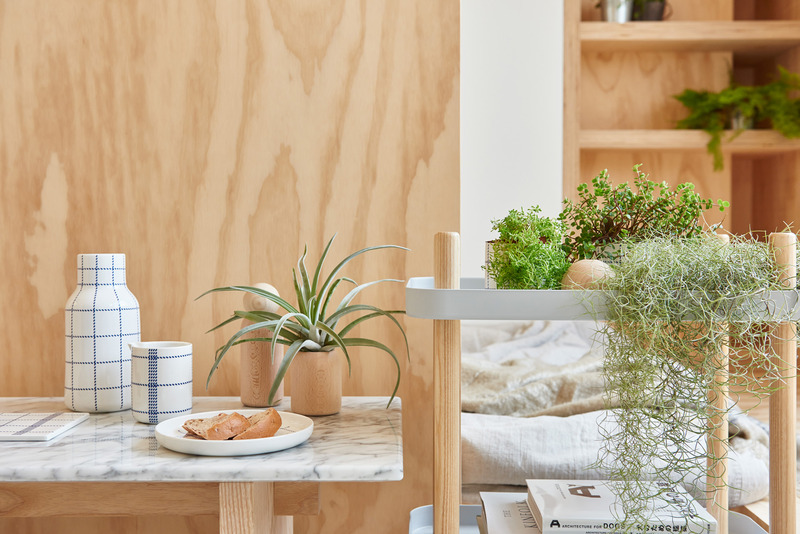 The key to achieve exceptional design with limited interior space is balance – with better emphasis on the environment, and focusing solely on the design essentials. 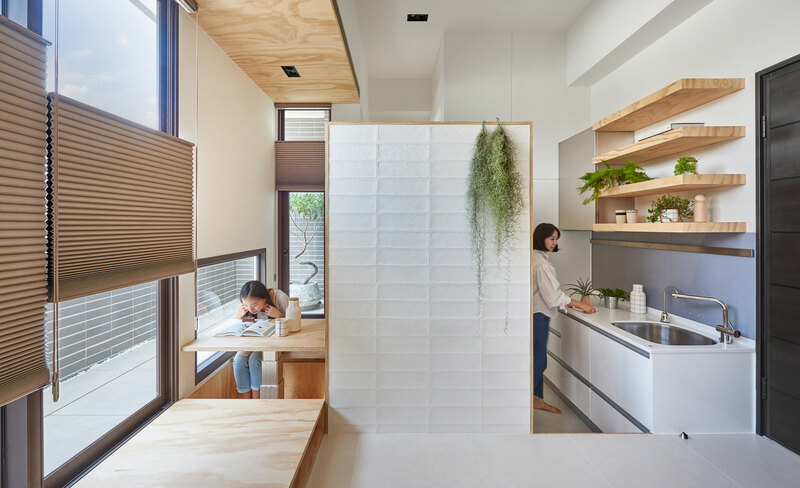 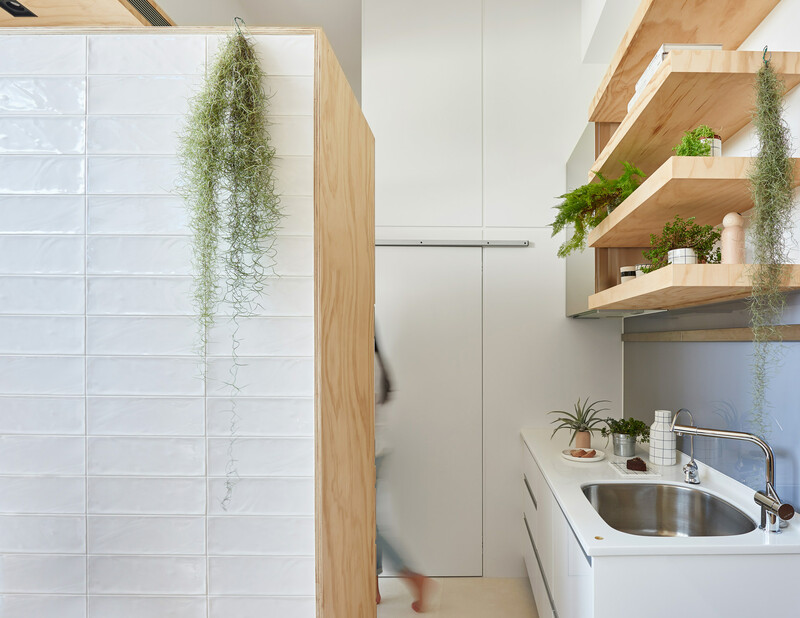 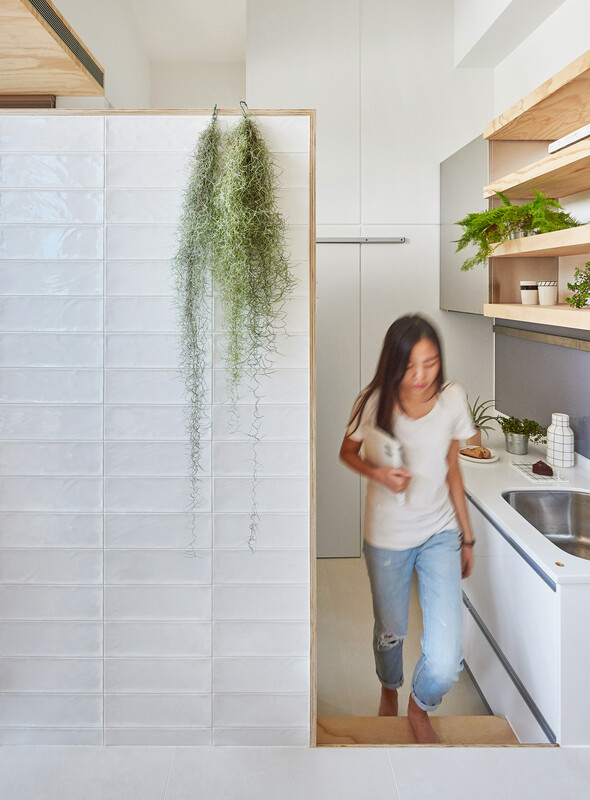 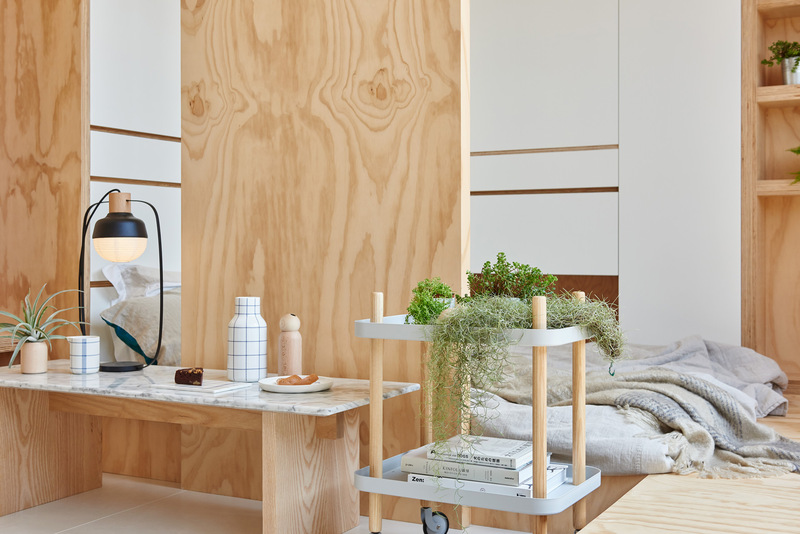 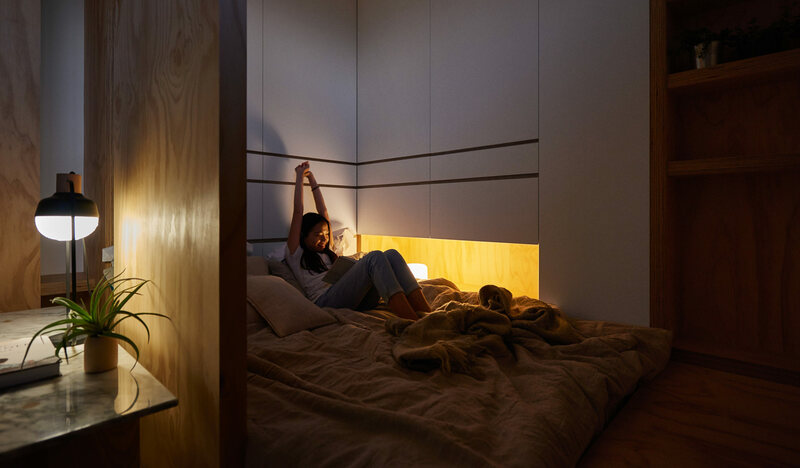 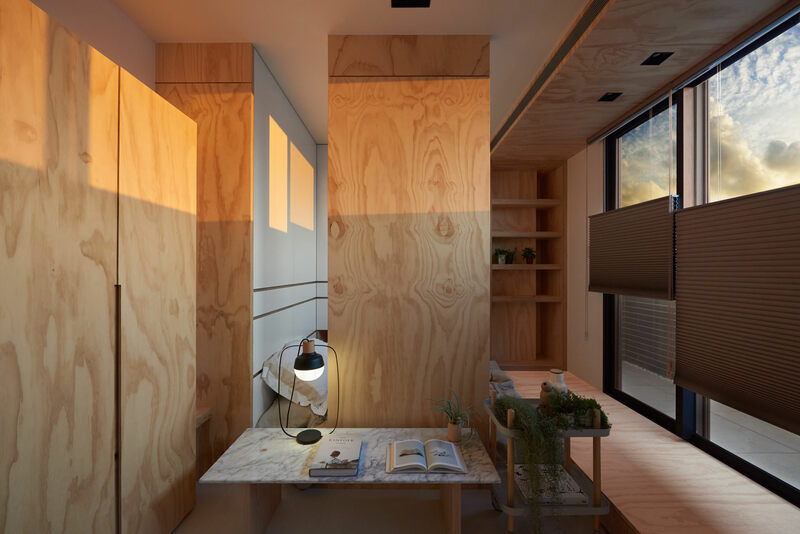 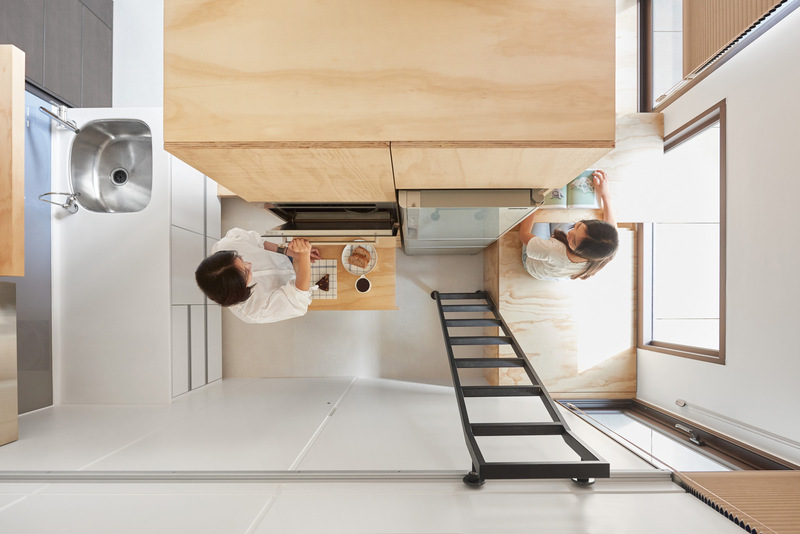 With the 33 square meters given, the challenge lies in maintaining form and function with limited real estate. 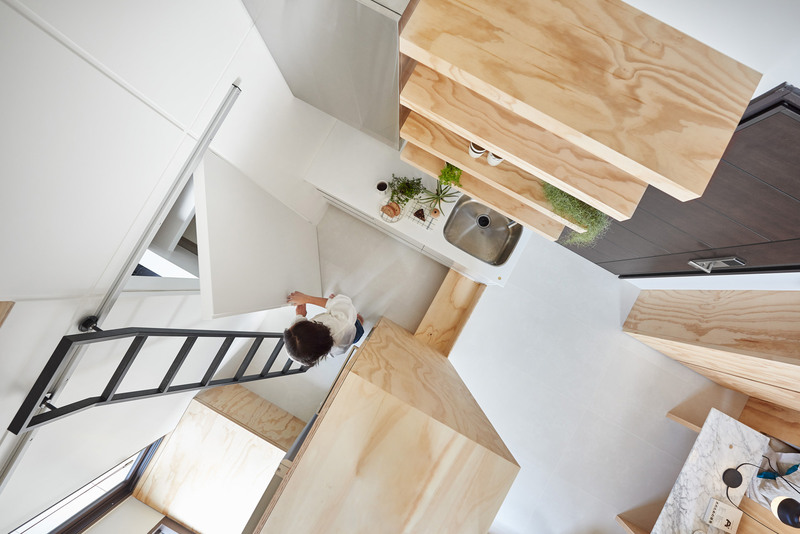 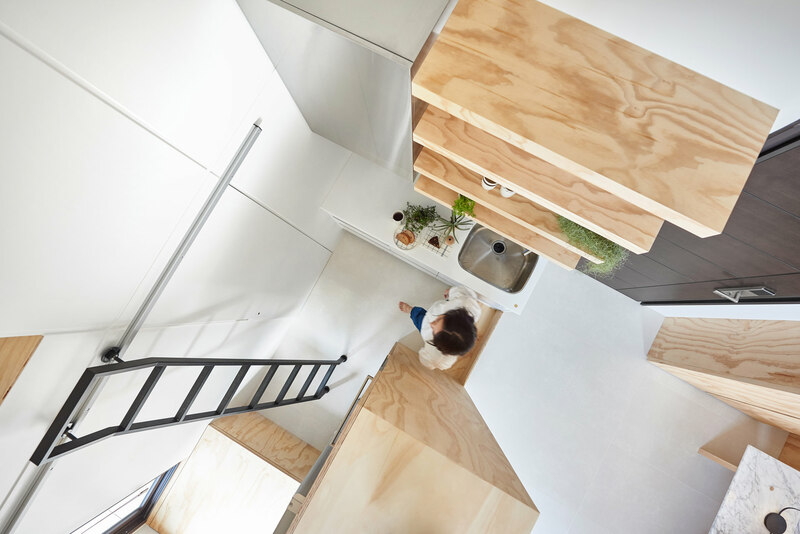 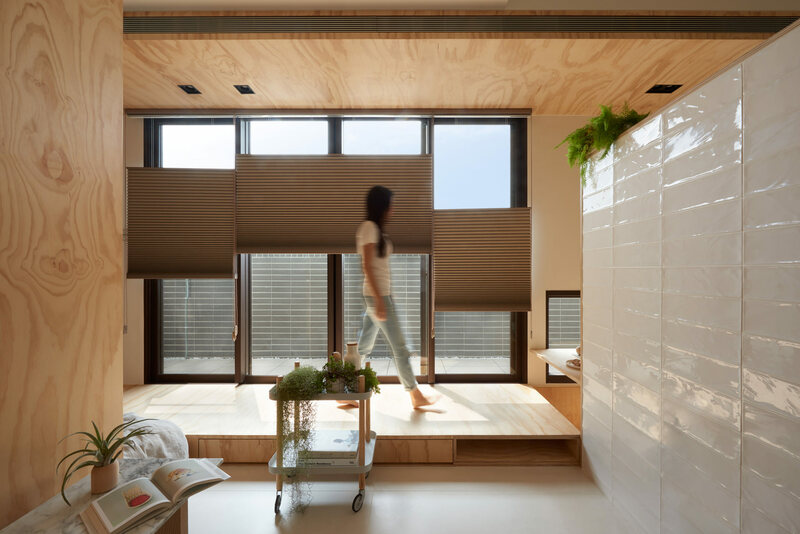 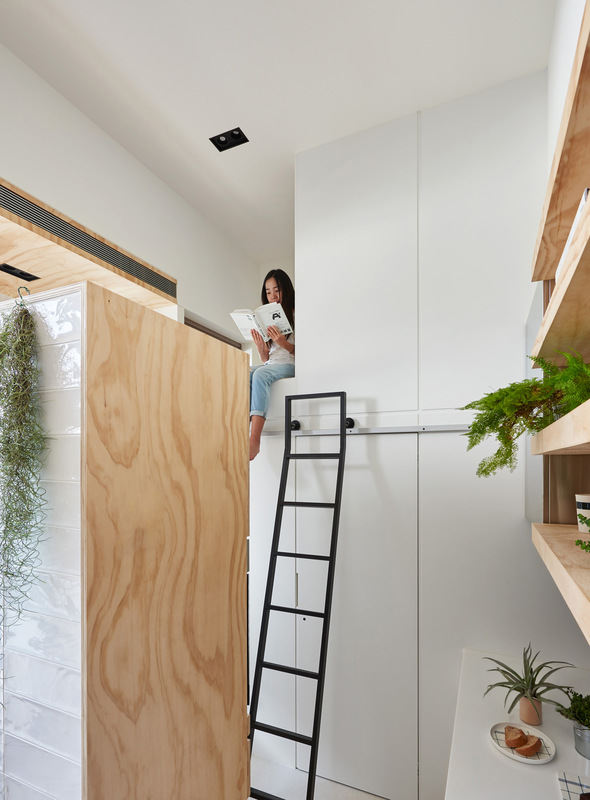 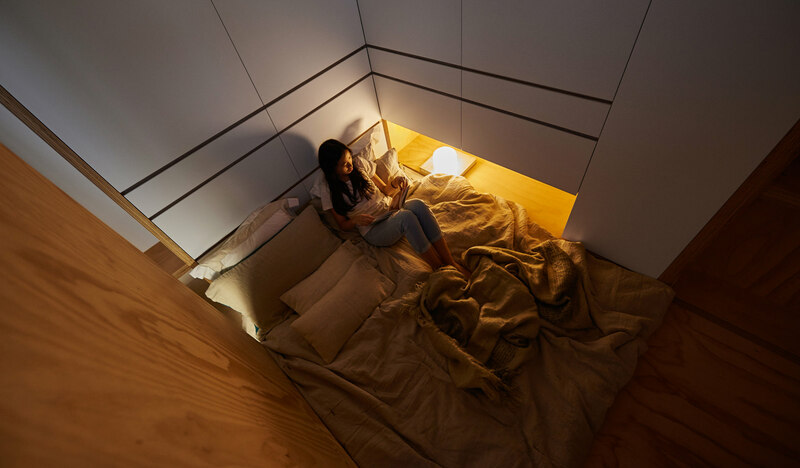 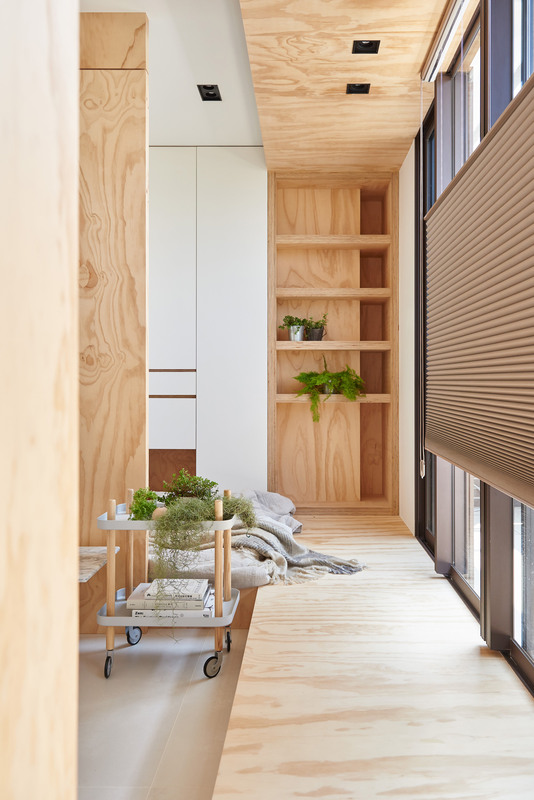 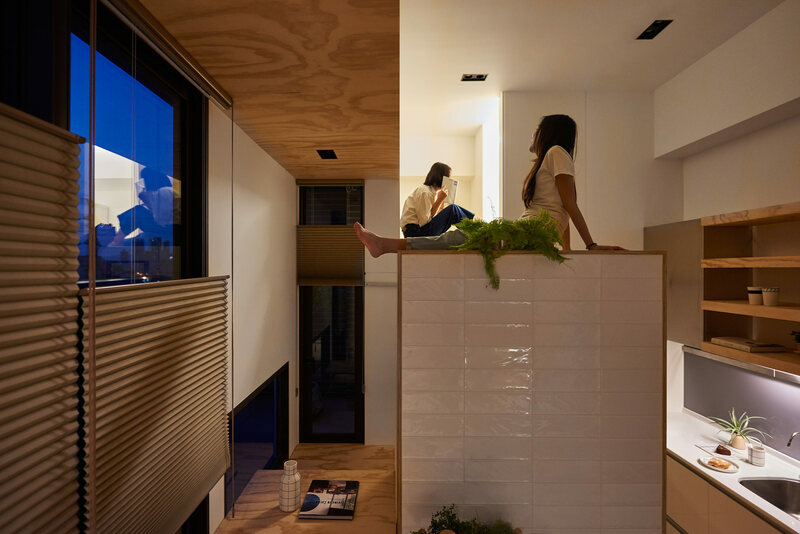 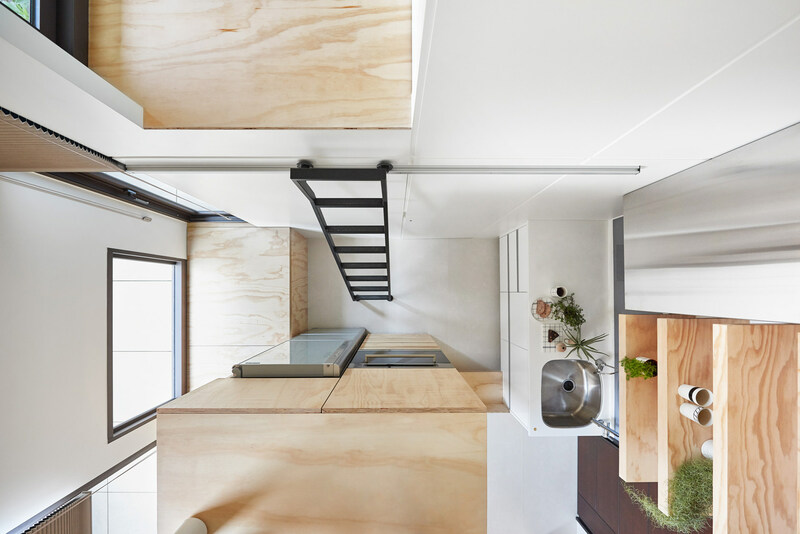 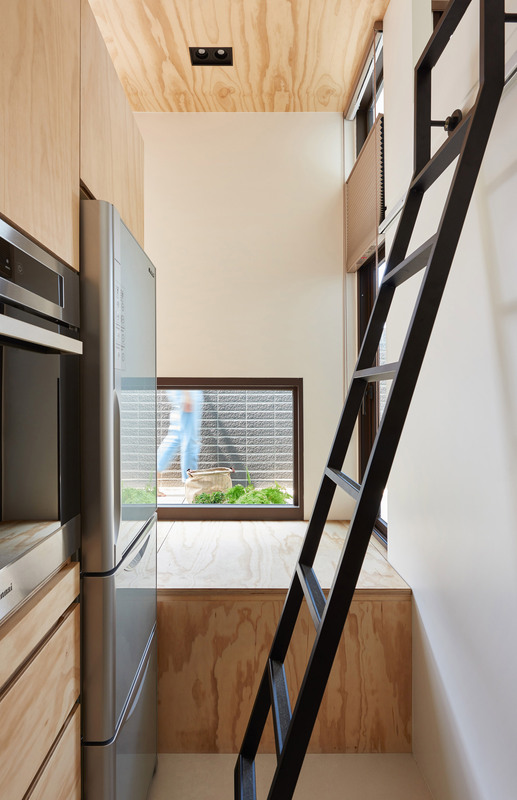 Small house traditionally opts for the mezzanine for better space management. 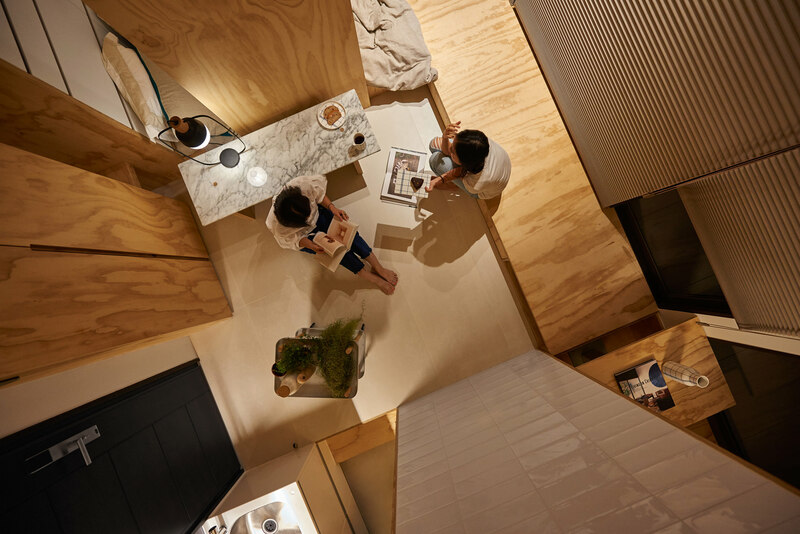 This time we go with an unique design to accommodate the two interior heights – 3.6 meters and 4.2 meters respectively, such maneuvering that would create a different experience both visually and spatially. 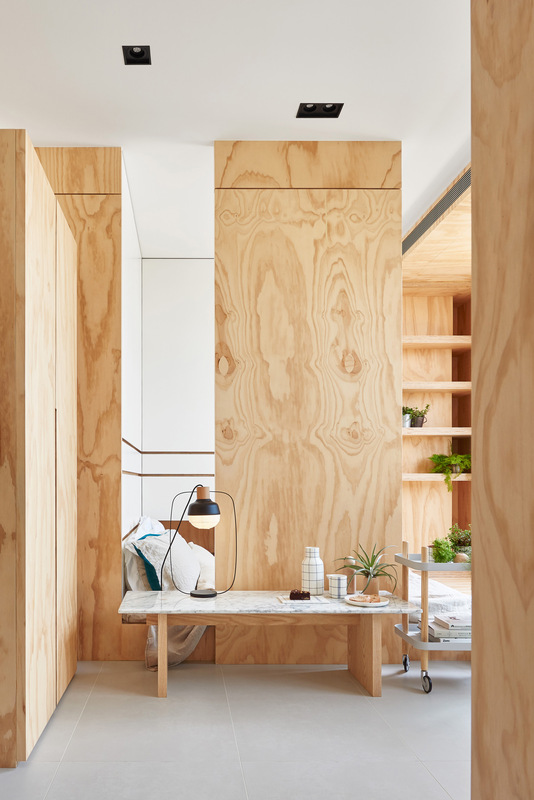 A wood corridor that goes through the house, and complete with the right amount of storage space. 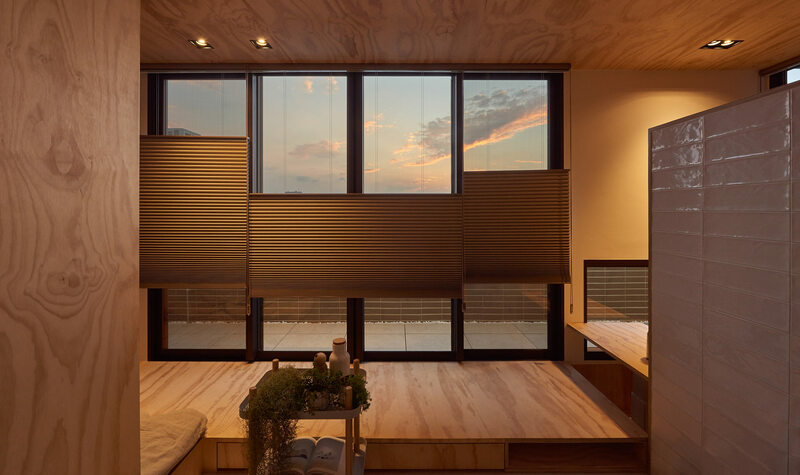 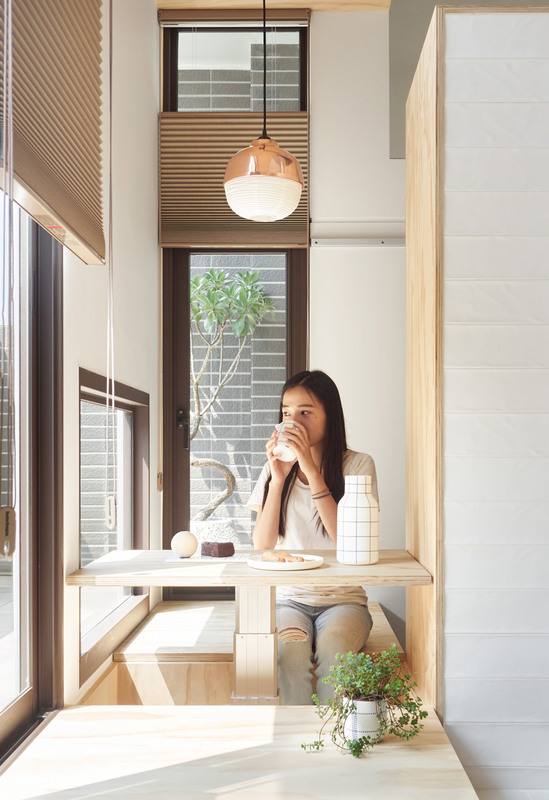 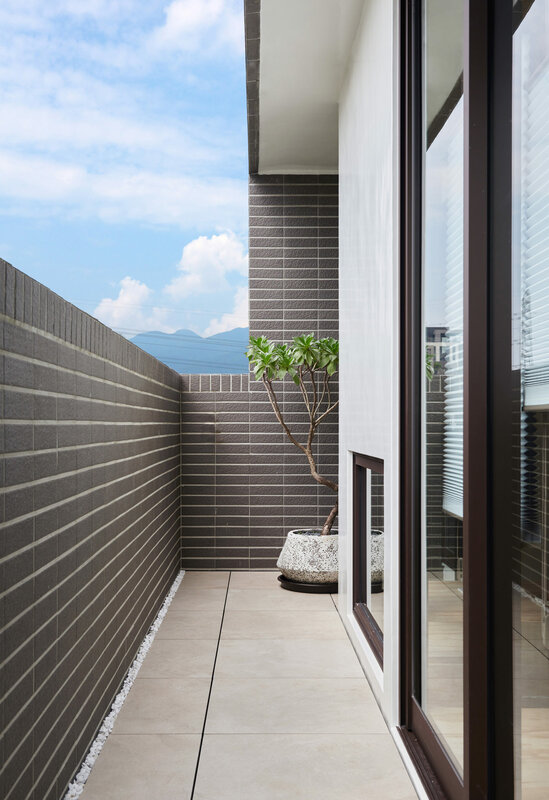 We specifically lower the windows by the dining table to maintain a sense of discreetness, while still connect the house to the outside. 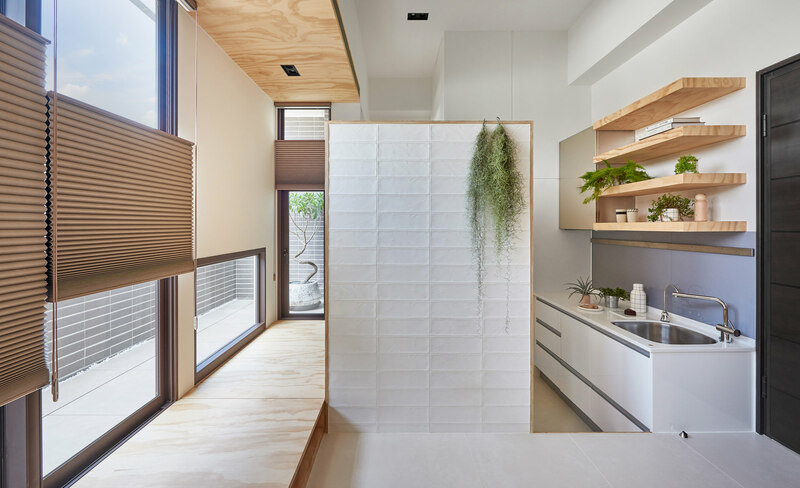 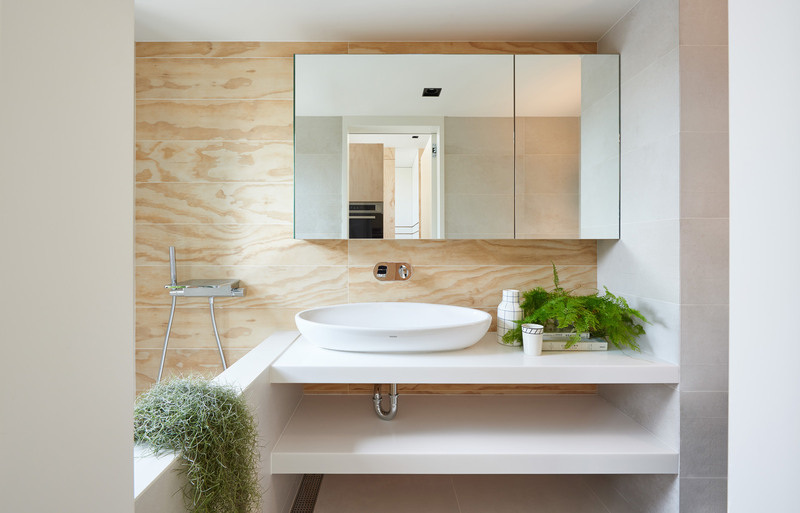 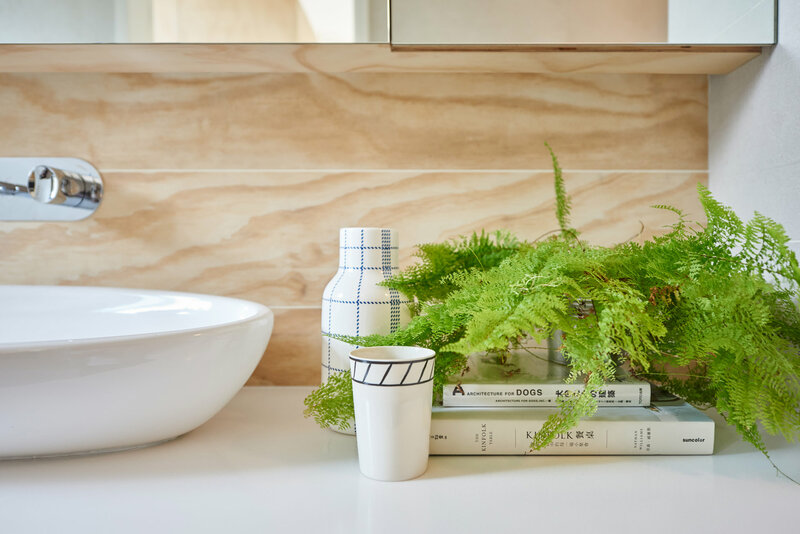 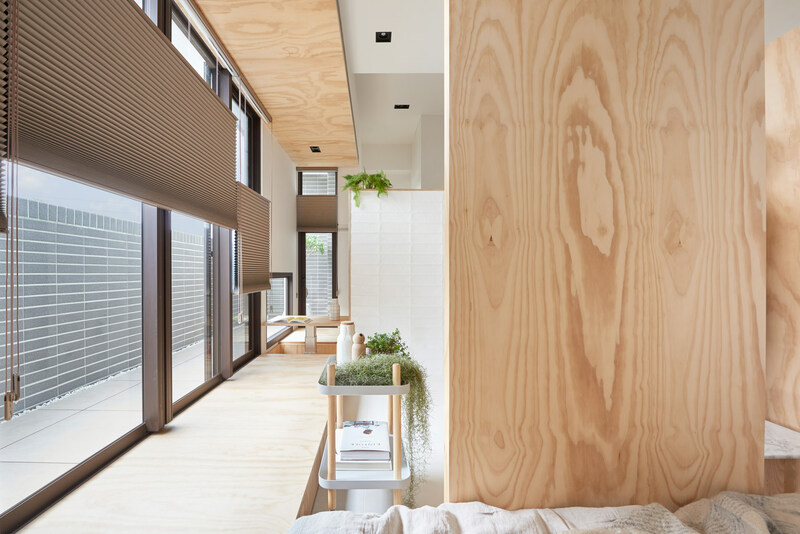 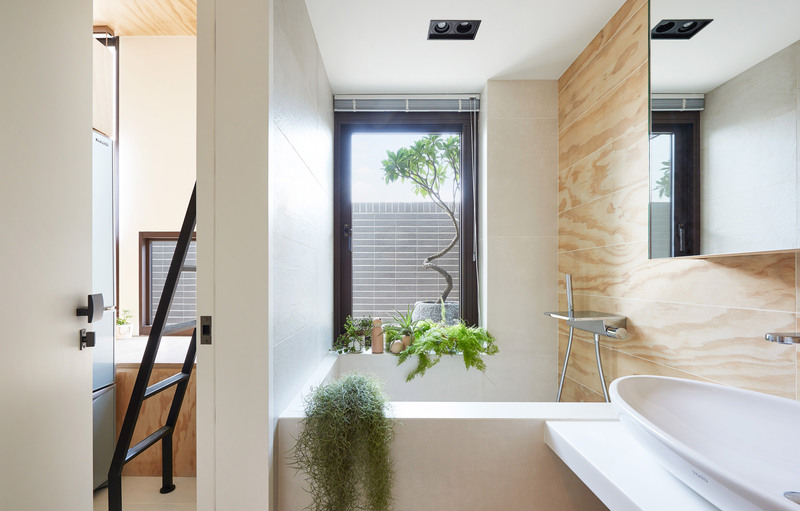 Other notable details like wood texture in the main room to wood tile in the bathroom are just few of the neat design cues in this otherwise compact living quarters.